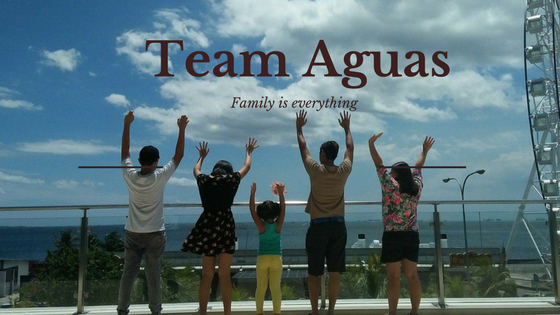 #TeamAguas: Meet the new VITRESS girl; Solenn Heussaff!!! Beautiful hair is what women strive for, yet it's not so easy to achieve.It all starts with the right shampoo and conditioner--but the path to crowning glory does not stop there. Good thing there's now a product that helps you to achieve beautiful tresses beyond your typical shampoo-and-conditioner regimen--Vitress Leave-On Hair Cuticle Coat. June 15, 2011, Splash Corporation welcomes their newest VITRESS Ambassadress , Solenn Heussaff ; is a French-Filipino model and actress, she set apart from other stars today because of her natural beauty as well as her aura that exudes class and intelligence. Aside from being a sought-after print and commercials model, she's also a fashion designer; a professional make-up artist, a painter, singer and actress as well.Nowadays, she's busy with her recording contract with MCA Universal, her movie contract with Regal Entertainment and a contract with TV network GMA. Solenn reveals that she now uses Vitress Hair Cuticle Coat after discovering that it keeps her hair shiny, smooth and more manageable.She adds that beautiful, healthy hair that radiates that intense shine is important for someone in her profession.According to her Vitress does the job for her, instantly, in every situation because she need that intense shine as fast as possible. Mark your calendar, June 19, 2011 as you witness the new commercial of Vitress with Solenn. VITRESS INSTANT RELAX CUTICLE COAT works best for those who have curly and wavy hair. This product is best for taming unruly hair and giving it a naturally straighter look. 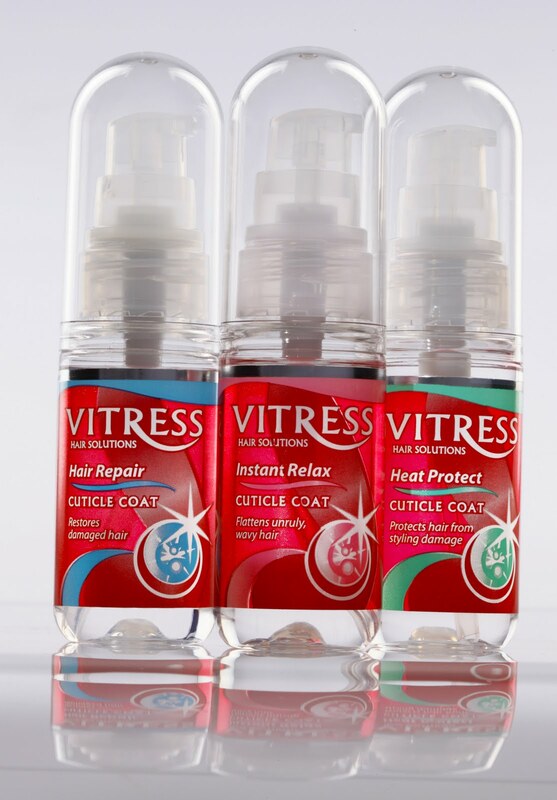 For dry, damaged hair, try VITRESS HAIR REPAIR CUTICLE COAT. It protects the hair from the bad effects of chemicals used in dyeing, perming, and other hair treatments. 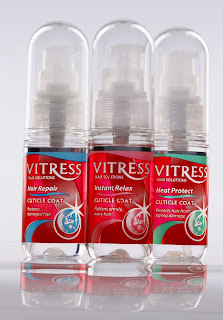 If you are scared of heat styling but would love to try different hairstyles, use VITRESS HEAT PROTECT CUTICLE COAT. It protects hair from the harmful effects of frequent curling, ironing or blow-drying so you can wear all the hairstyles you want! VITRESS LEAVE-ON CUTICLE COAT is a special blend of silicones that lightly coats and seals every hair strand.Simply place a small amount on your palm, spread evenly onto hair and immediately transform dry, dull, hard-to-manage hair to smooth, silky and shiny tresses.It is available in handy on-the-go bottles that you can bring and use anywhere, anytime, all the time. Vitress products are available at department stores, supermarkets, and drug stores nationwide. Thanks for sharing this, my son uses vitress at least now I know what other variants to choose. ;)) btw, I really like Solenn, good thing she's the new product endorser.